Creamy, herby, light, healthy with just the right amount of kick. 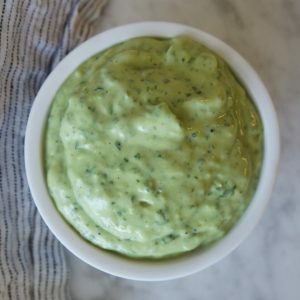 You're going to want to add this green goodness sauce on everything! Add all the ingredients to a blender or food processor.